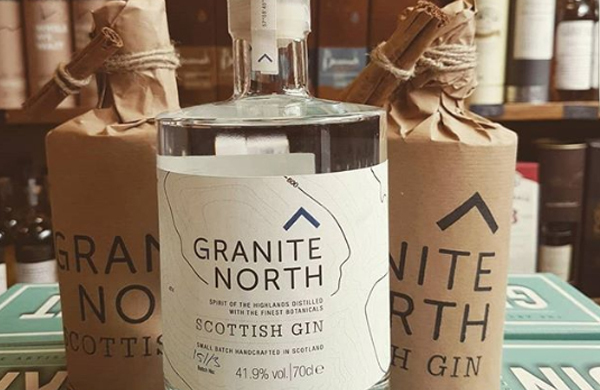 Granite North Gin is packed with flavour and inspired by the rugged Highland peaks and ancient forests. A keen hillwalker, Sandy has always been inspired by the dramatic landscape of the Cairngorms and the idea to create his own gin came to him while climbing Braeriach in the heart of the Cairngorms. Qualified as an engineer, and a self-confessed perfectionist, he has combined his love of gin and passion for the outdoors in a bold venture to create a new gin from the North East of Scotland. With the first gin ready to launch, Sandy has no plans to stop there and is already planning the next addition to the Granite North family.